This BLOG On FHA Mortgage Loans With No Lender Overlays Was UPDATED On January 6th, 2019 By Gustan Cho of Gustan Cho Associates at Loan Cabin Inc.
Is it possible to find a FHA mortgage loans with no Lender overlays? Yes it’s possible. Many home buyers in the United States struggle to qualify for conventional loans. The reason most home buyers cannot qualify for conventional loans is because these loans have stringent qualification requirements. Conventional loans require borrowers to have a good credit score and a lot of times make a significant down payment. Many borrowers fail to meet these requirements. Borrowers who cannot qualify for conventional mortgage shouldn’t lose hope as there are several other loans that they can use to buy their dream home. One of those loans is the FHA home loan. The most popular mortgage program in the United States is the FHA home loan. FHA home loans are insured by the United States Federal Housing Administration (FHA). Some people think that FHA is a lender and funds FHA home loans. However, that is not the case. FHA is neither a lender nor has anything to do with funding, underwriting, processing or origination of FHA home loans. FHA only insures the FHA loans that are originated by banks and mortgage firms. The banks and mortgage firms also fund these loans. FHA only insures lenders against default on FHA loans when they follow the guidelines of Housing and Urban Development (HUD) while underwriting an FHA home loan. Moreover, lenders must be approved by the HUD; otherwise, FHA will not provide any compensation to them in case of a loan default. FHA home loans are beneficial for home buyers who don’t have a good credit score, have higher debt-to-income ratio and can’t afford to make a major down payment. FHA loans don’t require a perfect credit score or lower debt-to-income ratio. Furthermore, borrowers are only required to make a down-payment of 3.5 percent. The down payment on the FHA home loan can even be a gift from family members or relatives. Unfortunately, not all FHA lenders have these requirements for FHA mortgages. Some FHA lenders have FHA loans with overlays. Mortgage borrowers must understand that just because they meet the minimum requirements of FHA home loans doesn’t mean that they’ll qualify for an FHA home loan with all FHA lenders. It is hard to qualify for an FHA home loan with lenders who have overlays on FHA Loans. With an FHA home loan, a buyer can purchase a new home with a down payment of 3.5 percent. Home buyers who have had a bankruptcy, short sale, foreclosure or deed in lieu of foreclosure can also qualify for an FHA home loan and purchase a new house provided they have abided by wait times if applicable and also managed to re-establish their credit. The lending guidelines of FHA home loans are much more lenient than Freddie Mac or Fannie Mae conventional loans. Family members can be added on an FHA home loan as non-occupant co-borrowers. This helps home buyers qualify for a mortgage. Borrowers can qualify for an FHA home loan with a minimum 580 FICO score and 3.5 percent down payment. In order to qualify for conventional mortgages, borrowers must have a minimum 620 FICO score. For conventional loans, first time buyers are required to make a down payment of 3 percent while seasoned buyers must make a down payment of 5 percent. Someone how didn’t own a house in last three years is recognized as a first time home buyer. The lending criteria of all FHA lenders aren’t the same. Some FHA lenders have lender overlays. Lender overlays are additional requirements which are established by the lender themselves over those set by the FHA. For example, according to the FHA, borrowers with a 580 FICO and 3.5 percent down payment can qualify for an FHA home loan. However, some FHA lenders with overlays on credit score won’t qualify a borrower for an FHA loan if their credit score is below 640 FICO. This means that it will be hard for home buyers to qualify for an FHA loan with such a lender who has overlays on credit score. Some FHA lenders also require rental verification. FHA allows borrowers to qualify for an FHA loan with unpaid collections and charge offs. However, FHA lenders with overlays may ask the borrower to pay off their outstanding collections and charge offs before they can qualify for an FHA home loan. This is a lender overlay on outstanding collections and charge offs. The maximum debt-to-income ratio (back end) to qualify for an FHA home loan is 56.9 percent. However, some FHA lenders won’t qualify a borrower for an FHA home loan if their debt-to-income ratio is greater than 50 percent. This is a lender overlay on debt-to-income ratio. Many borrowers get denied for an FHA loan at the last minute or stress during their mortgage process with the lender. The reason many borrowers get denied for an FHA loan or face stress is because they don’t qualify for an FHA loan. Some loan officers issue pre-approval to borrowers without underwriting their loan files. Pre-approvals on FHA home loans should be underwritten and signed off by mortgage underwriters. When proper pre-approvals are issued, FHA loan borrowers won’t get denied for an FHA home loan or face stress during the loan process. Borrowers should get a pre-approval for an FHA home from qualified FHA lenders who don’t have any overlays. When borrowers get a pre-approval from a qualified lender who completes the underwriting process, they won’t face any trouble during the FHA loan process and will be able to close the loan. FHA lenders who follow the FHA guidelines don’t require rental verification (if automated underwriting system doesn’t request), don’t ask borrowers to pay off outstanding collections and charge-off accounts and qualify borrowers who have a 580 credit score and can make a down payment of 3.5 percent. Many FHA lenders tell borrowers that in order to qualify for an FHA home loan they must have a 620 credit score. If the credit score of a borrower is below 620, they won’t qualify them for an FHA home loan. The minimum credit score required by the Federal Housing Administration is 580. This means that the lender who wants borrowers to have a 620 credit score has established a lender overlay on credit score. Borrowers shouldn’t work with such a lender for an FHA loan as it will be hard for them to qualify for the mortgage from such lenders. According to FHA, borrowers can get approved for an FHA home loan with a 56.9 percent back end debt-to-income. However, not all lenders approve borrowers even when they meet this debt-to-income ratio requirement of the FHA. Many FHA lenders require borrowers to have a debt-to-income ratio under 50 percent. This is a debt-to-income ratio overlay. This additional debt-to-income ratio requirement makes it hard for borrowers to qualify for an FHA loan. Borrowers who have a high-debt to income ratio (more than 50 percent) should work with a lender who follows the guidelines established by the FHA to qualify for an FHA home loan. FHA stipulates that borrowers can qualify for an FHA home loan without paying off outstanding collections and charge-offs. However, some lenders don’t qualify borrowers with outstanding collections and charge-off accounts. They tell the borrowers that the outstanding collections and charge-offs must be paid off before they can qualify for an FHA mortgage. This is an additional requirement established by the FHA mortgage lenders themselves. 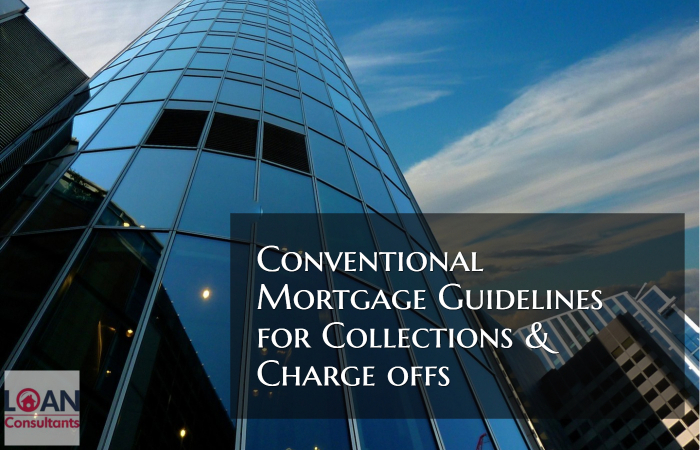 Thus, this requirement is a lender overlay on outstanding collections and charge-offs. Borrowers with outstanding collections and charge-offs will find it hard to qualify for an FHA loan with an FHA lender who has overlays on outstanding collections and charge-offs. Timeshare foreclosure is treated as real estate foreclosure by many FHA lenders who have overlays on timeshare foreclosure. Thus, many FHA lenders tell borrowers that they must wait for a specific time after timeshare foreclosure before they can qualify for an FHA loan. However, HUD Guidelines stipulate that timeshare foreclosures are not like real estate foreclosure, but are only installment loans; therefore there is no waiting period after these foreclosures. This means that lenders who say that borrowers must wait after timeshare foreclosure to qualify for an FHA loan have a lender overlay on timeshare foreclosure. If there is a credit dispute on non-medical collection accounts where the aggregate outstanding balance is below $1,000, then borrowers aren’t required to retract it to qualify for an FHA loan. Moreover, FHA Guidelines stipulate that credit disputes on all non-medical collection accounts don’t have to be retracted to qualify for an FHA loan. However, many FHA lenders tell borrowers that they must retract their credit dispute to qualify for an FHA home loan. These lenders may ask the borrower to retract their credit dispute as it improves their credit score. This is a lender overlay on credit dispute. Borrowers with credit dispute should work with a lender who strictly adheres to the guidelines established by the FHA; otherwise they would have to retract their dispute to qualify for an FHA home loan. The requirements of both VA loan and FHA home loans are the same with respect to Chapter 13 Bankruptcy. However, many FHA and VA mortgage lenders have overlays on qualifying borrowers for FHA and VA loans after and during Chapter 13 Bankruptcy. Both FHA and VA Guidelines stipulate that borrowers can qualify for a loan when they are under the repayment plan of Chapter 13 Bankruptcy if 12 months have passed since the repayment plan was established. Once the borrower has been discharged from Chapter 13 Bankruptcy, they can qualify for both FHA loans and VA loans. There isn’t any waiting period that borrowers are required to follow after getting discharged from Chapter 13 Bankruptcy. Many FHA and VA mortgage lender require borrowers to wait for two years before they can qualify for an FHA loan or VA home loan. This is an additional requirement established by the VA and FHA lenders themselves. In a nutshell, the FHA loan program is an ideal home loan for borrowers who cannot qualify for conventional loans. The requirements of FHA loans are more lenient than conventional loans. Borrowers who have a 580 credit score and can make a down payment of 3.5 percent can qualify for an FHA home loan. However, not all lenders approve borrowers who have a 580 credit score and can make a down payment of 3.5 percent. Some lenders have overlays over these minimum requirements established by the FHA. Lender overlays on FHA home loans can make it extremely difficult for borrowers to qualify for an FHA home loan. Lender overlays are legal and nothing can be done to stop mortgage lenders from establishing overlays on FHA home loan. Borrowers should stay away from FHA lenders who have overlays. They should work with mortgage lenders who follow the FHA guidelines and don’t have any overlays. This will make it easy for borrowers to qualify for an FHA home loan. If you have been denied a home loan or have any questions about real estate or mortgage please contact the author Gustan Cho of The Gustan Cho Team at Loan Cabin Inc. at 262-716-8151 or text us for faster response. Or email us at gcho@loancabin.com. The Gustan Cho Team at Loan Cabin Inc. works when you work, so feel free to contact him any time. you want the most professional and educated group in the business you will choose Loan Consultants. With decades of experience in the mortgage industry, we can get you a loan when everyone else has told you “no.” We have excellent programs that we use with the goal of getting you into the house of your dreams. Call us at 888-900-1020! Gustan Cho Associates at Loan Cabin Inc.